Here is the reason why I was less active than usual! After a lot of hours and days put in this project, I'm proud to show you my new handmade motion! This month of August is the month where I started my Asura project, extracting, importing, modding him and much more. To celebrate that I wanted to make a big effort on a new motion with him but not a random one. I wanted to go out of my skills making a fast dance, a model that will non-stop move in a dynamic way synchronized to the music rythm. With this "remake" you can notice how my Asura model and my animation skills improved a lot during an entire year and it's not going to stop! Enough talk, description are rarely read anyway lol. 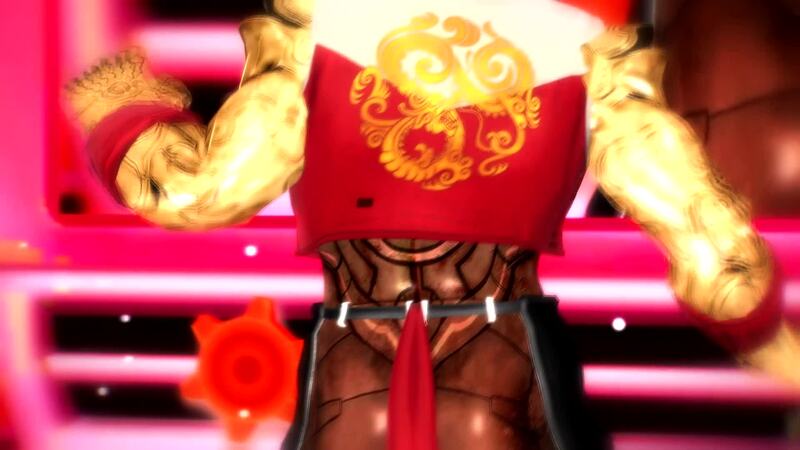 [MMD VIDEO] ASURA JANSWAP : Action Intro (NSFW). Model : Asura Janswap, Yasha, Pantiegus, Honokasura - LGMODS. Motion & Camera : Handmade from scratch - LGMODS. Music : Action Intro - Epidemic Sound (+ full edited sound with reverberation, crowd cheers, applause & Asura voice added by LGMODS). Stage : Deresute 3D - @arisumatio (animated & retextured by LGMODS). Sony Vegas Post Production : Intro, shade on-off, various enhanced filters. The video was originally rendered as 60 fps then decreased into 30 fps to keep the full HD. Raw video was 100Gb, decreased to ~800Mb with Handbrake and again decreased to ~300Mb for internet, you can guess the quality is obviously lost with this process (I wish some website could have more size limit..). Feel free to give a feedback, this is actually my most advanced motion where I took an incredible amount of time doing it, it was impossible for me to do something else except keep focusing on it until finish it! This motion is actually not compatible any others models due to my special rig on Asura.